Los Angeles, Jan 14 (IANS) Filmmaker Alejandro Gonzalez Inarritu’s semi-biographical western film “The Revenant”, starring Leonardo DiCaprio, has bagged 12 nods at the upcoming 88th Academy Awards. However, Indian films failed to make it to the list yet again. The nominees of this year’s Oscars were announced here on Thursday by Academy President Cheryl Boone Isaacs, actor John Krasinski and filmmakers Guillermo del Toro and Ang Lee. The team of “The Revenant”, who now stand a chance to win in categories like Best Film Editing, Best Cinematography, Best Visual Effects, Best Costume Design and Best Sound Mixing, might also walk away with top honours including Best Picture and Best Director. The film is followed by Tom Hardy and Charlize Theron-starrer “Mad Max: Fury Road”, which is nominated in 10 categories, and Matt Damon’s “The Martian”, which received seven nods. Filmmaker George Miller’s “Mad Max: Fury Road” — the fourth instalment in the popular “Mad Max” franchise — is up for the Oscars under the same ten categories as “The Revenant” except for the Actor in a Leading Role and Actor in a Supporting Role. Meanwhile, “The Martian”, a sci-fi film directed by Ridley Scott, is nominated under categories like Best Picture, Actor in a Leading Role, Best Adapted Screenplay, Best Production Design, Best Visual Effects, Best Sound Mixing and Best Sound Editing. Apart from these three films, others contending for the Best Picture award are “Spotlight”, “The Big Short”, “Brooklyn”, “Room” and “Bridge of Spies” — a Steven Spielberg and Reliance Entertainment Film production. Actor Eddie Redmayne, who won last year’s Oscar for best actor for his role in “The Theory of Everything”, has yet again been nominated in the Actor in a Leading Role category for playing a transgender in “The Danish Girl”. He will be battling it out against DiCaprio (“The Revenant”), Matt Damon (“The Martian”), Michael Fassbender (“Steve Jobs”) and Bryan Cranston (“Trumbo”). Besides Inarritu and Miller, others competing for the Best Director trophy include Tom McCarthy for “Spotlight”, Adam McKay for “The Big Short” and Lenny Abrahamson for “Room”. Actresses Brie Larson (“Room”), Saoirse Ronan (“Brooklyn”), Cate Blanchett (“Carol”), Jennifer Lawrence (“Joy”) and Charlotte Rampling (“45 Years”) will be vying for the golden statuette in the Actress in a Leading Role category. Sylvester Stallone (“Creed”), Mark Rylance (“Bridge of Spies”), Mark Ruffalo (“Spotlight”), Christian Bale (“The Big Short”) and Tom Hardy (“The Revenant”) will be vying for the Actor in a Supporting Role trophy. Actresses Rooney Mara (“Carol”), Jennifer Jason Leigh (“The Hateful Eight”), Alicia Vikander (“The Danish Girl”), Kate Winslet (“Steve Jobs”) and Rachel McAdams (“Spotlight”) will be seen competing against each other for the Actress in a Supporting Role award. Although, Indian film “Court” couldn’t make it to the Best Foreign Language Film category, the movies which are contending in the top five include “Son of Saul”, “Mustang”, “A War”, “Embrace of the Serpent” and “Theeb”. Other Indian regional films like “Jalam”, “RangiTaranga” and “Nachom-ia Kumpasar”, which were vying for a spot in the Best Original Song and the Best Original Score have also been ousted from the Oscar race. The films lost to “Earned it” (“Fifty Shades of Grey”), “Manta ray” (“Racing Extinction”), “Simple song 3” (“Youth”), “Til it happens to you” (“The Hunting Ground”) and “Writing’s on the wall” (“Spectre”) in the Best Original Song category. In the race to win the Best Original Score, the nominees are “Bridge of Spies”, “Carol”, “The Hateful Eight”, “Sicario” and “Star Wars: The Force Awakens”. Apart from categories related to music and acting, “Carol” has also been nominated for Best Adapted Screenplay, Best Cinematography and Best Costume Design. British filmmaker of Indian-origin Asif Kapadia’s “Amy” has made it to the Best Documentary Feature category in a race against “Cartel Land”, “The Look of Silence”, “What Happened, Miss Simone?” and “Winter on Fire: Ukraine’s Fight for Freedom”. Also, Indian-American Pixar artist and director Sanjay Patel’s animated short film “Sanjay’s Super Team” managed to get nominated in the Best Animated Short Film category, where it is up against “Bear Story”, “World of Tomorrow”, “Prologue” and “We Can’t Live Without Cosmos”. 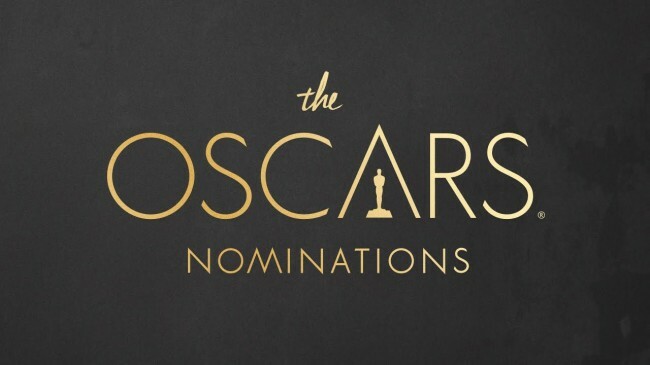 To be hosted by Chris Rock, the 88th Academy Awards will be held on February 28 at the Dolby Theatre here.